What a delicious and filling dinner. 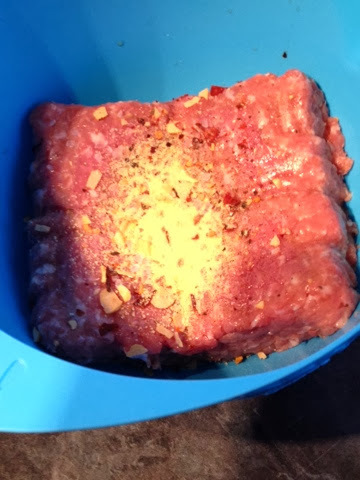 I'd bought some turkey mince for a recipe id seen the other day but can I remember what recipe? No of course not, that's far too organised. 😄 So the mince was out of date today and there's no room in the freezer so it had to be cooked. 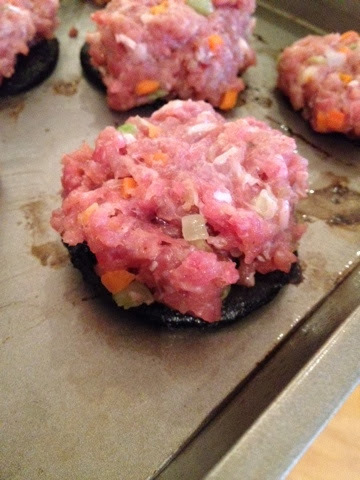 I decided on turkey mushroom burgers after studying the contents of the fridge for inspiration and found some flat mushrooms. So the experiment began and I'm very pleased with the result. Hope you enjoy them too. 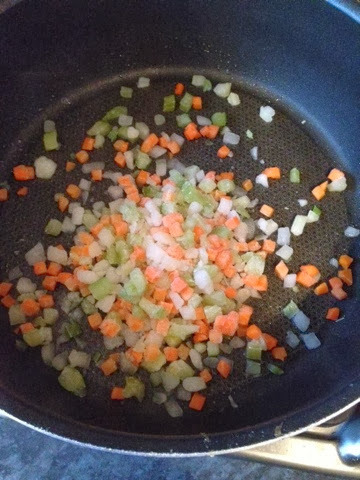 Meanwhile gently fry the onion, celery and carrot until softened. 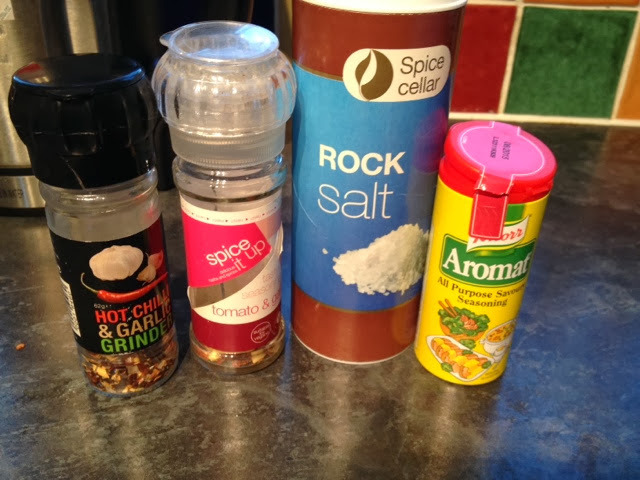 In a bowl add the turkey mince and approximately a teaspoon (or too taste) of each seasoning. 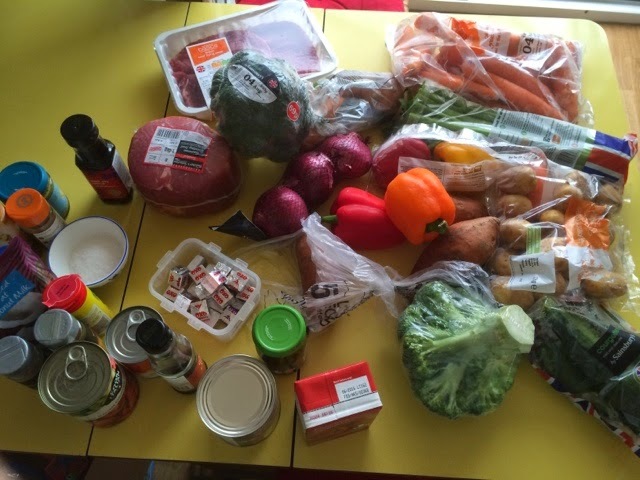 Add the cooked vegetables and mix well. 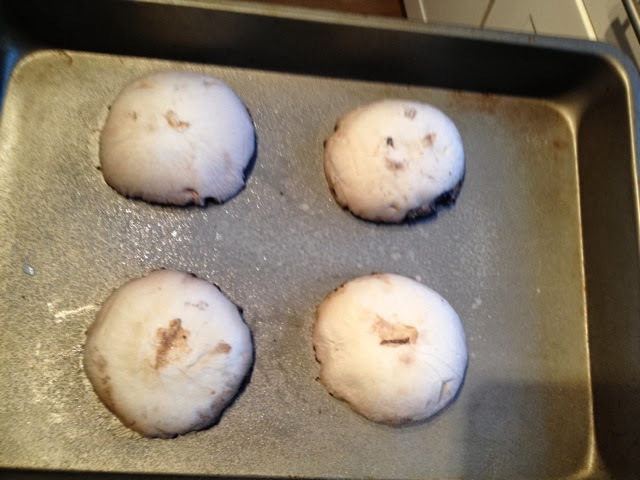 Remove the mushrooms from the oven and place each one over a mushroom. Pop tray back in oven for aprox 30 minutes or until cooked though. I added a little sprinkle of cheese to each patty for the last couple of minutes. 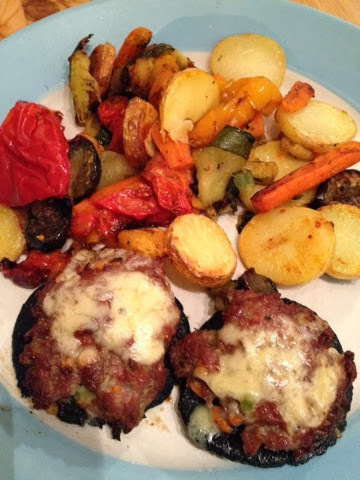 I served with loads of roast vegetables - potatoes, carrots, parsnips, tomatoes, peppers, aubergines & onion. I counted 1.5 syns for each patty for the cheese, please double check the amount of cheese you use and calculate the syns accordingly.